I definitely would not take blog photos if I didn't have at the very least my everyday make up on, I just wouldn't do that to you guys! 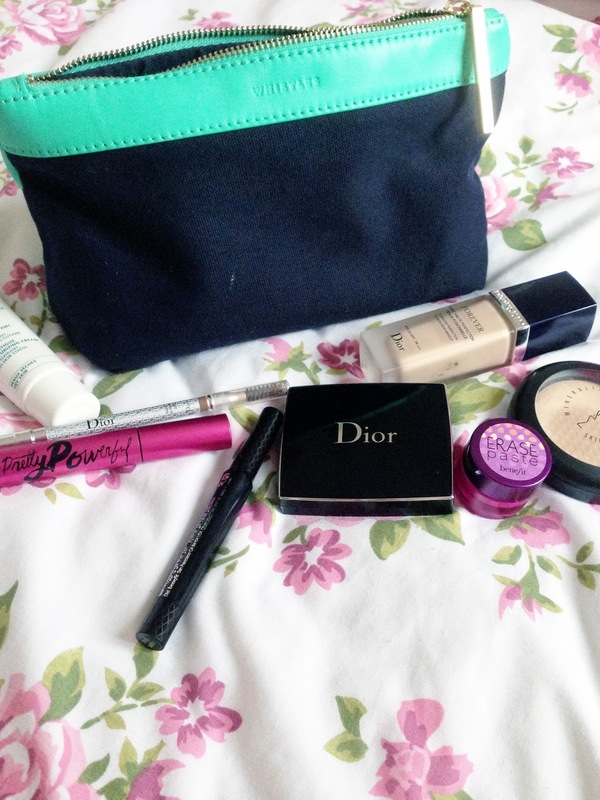 So here I am showing you lovelies inside my make up bag. 1. Dior Skin - Forever foundation - Shade 010. I think I have found the perfect foundation for my skin. I suffer from combination skin and DiorSkin forever just melts into my pores and stays all day and not a spot of oil or dryness in sight! Pricey at £32 but worth every penny! 2. Benefit - Erase paste - Shade light. I don't use this everyday just when I have that annoying breakout or the bags under my eyes are extra visible. The paste is quite thick and you only need a tiny amount, it blends in well with my foundation and brightens my eyes. I feel and look a lot more awake with this product. £20.50 seems a lot but this will last years. 3. MAC Mineralize skin finish natural - Shade light plus. I religiously use this product everyday, It sets my foundation and takes away any shine. Love it. £23. 4. 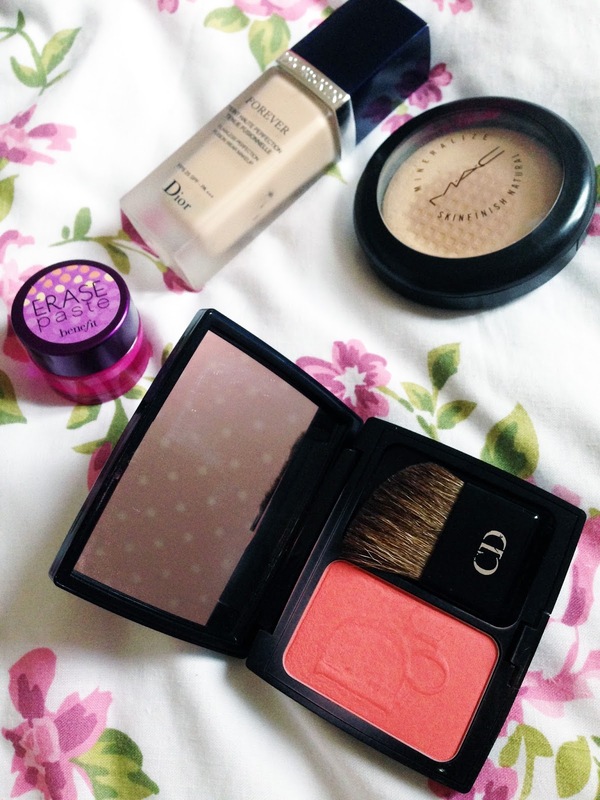 Dior - Dior blush - Shade Coral Cruise. This is the only blusher I own, I adore this colour, you only need to use a tiny amount and it just sits so well on my skin. The packaging is just divine too. Pricey at £30. 5. Benefit they're real! Push up liner. 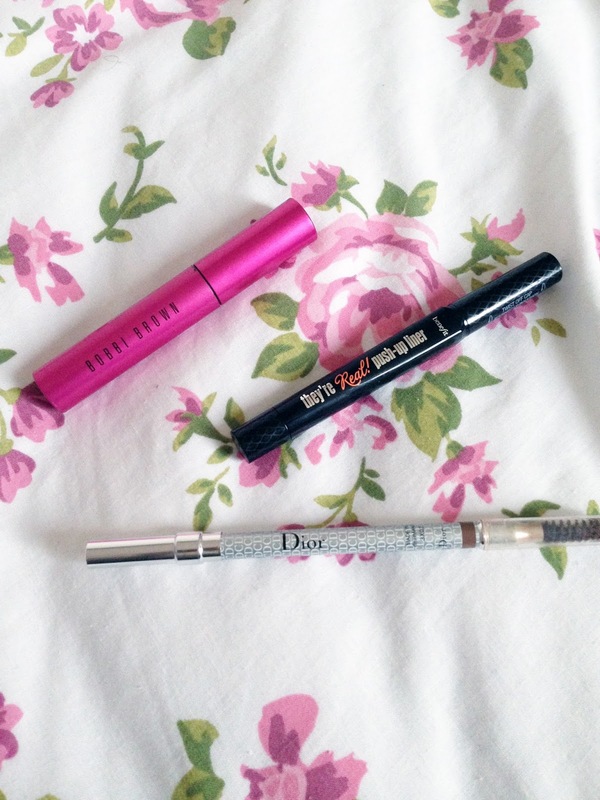 It didn't take me long to jump on the blogger bandwagon and buy the new eyeliner by Benefit. With every eyeliner practise makes perfect but Benefit have definitely made it a lot easier to apply a smooth line. I love it it doesn't smudge just stays put and i've now mastered a perfect flick. £18.50. 6. Bobbi Brown - Pretty powerful mascara. I was given this mascara by a friend a month or so ago and it does the job perfectly, no clumps, no smudges! £19. 7. 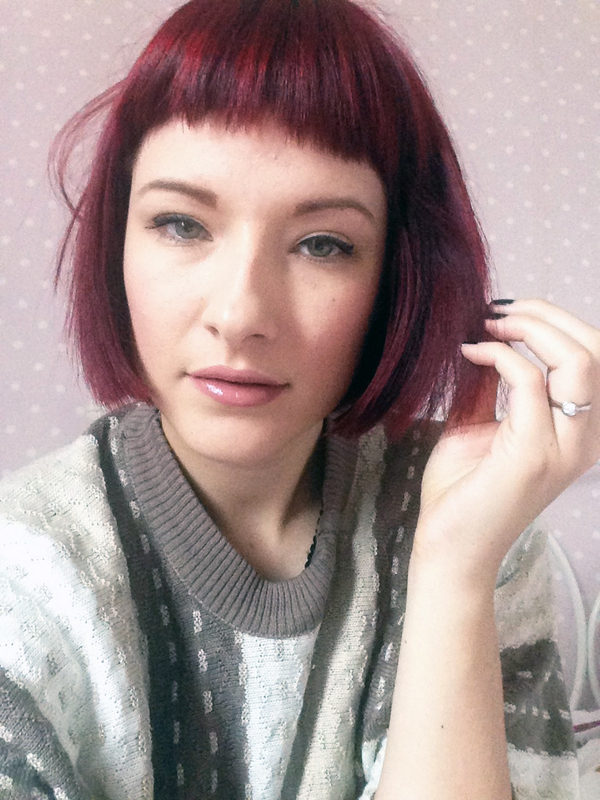 Dior - Powder eyebrow pencil - Shade Blonde. Ive had this product for a good 6months now and its by far the best eyebrow pencil I've tried. Its soft and blends in well. It also comes with a Dior pencil sharpener, fancy! £18.50. You look lovely! I love Erase Paste but agree it is a bit pricey!